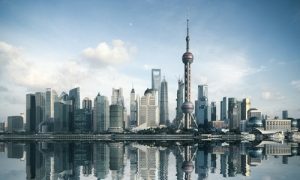 Fieldfisher has launched a four-partner office in Shanghai and has plans to double its partner count there by June. Zhou joined JS Partners as managing partner in July last year from Bird & Bird’s Beijing office. Fieldfisher corporate partner and competition law specialist Liang Xing will lead the office. Xing is joining the firm from Chinese firm MyLink, where he was a partner. He is joined by patent litigation partner Rocky Wu, who previously worked for Chinese firm JT&N. 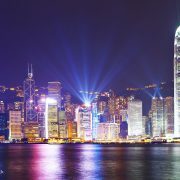 Two of the firm’s Beijing partners – tax partner Baoen Bai and corporate partner Ming Zhang – will transfer to Shanghai. Two additional partners are set to join the new office in March, with another two arriving in June. Three years ago, Fieldfisher secured a presence in Shanghai through a Swiss verein combination with three-partner firm Ryser & Associates. However, that tie-up has since ended. Under the verein structure, Fieldfisher operates as a licensed Chinese law firm, with access to all aspects of Chinese legal practice. The setup was pioneered in 2012 by legacy King & Wood when it merged with Australian firm Mallesons Stephen Jaques. Last year, the same structure was used by Dentons when it merged with Beijing-based Dacheng. Separately, it has emerged that Fieldfisher is in early discussions to hire partners in Olswang’s Munich office.